It's summertime and we're ready for some fun and festive tech talk. 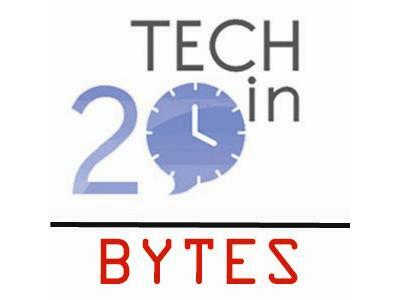 Join us for our new show segment called Tech in Twenty Bytes. In our inaugural show we discuss the social media impact on #sb5. Regardless of where you stand on the issue, we were surprised by the epic fail of traditional media (CNN, MSNBC, Network News etc...) to cover any of this trending and hot topic. The big winner in this space was the Texas Tribune who livestreamed the entire proceedings. We also discuss the new Google push towards mobile friendly and accessible sites. Make your site mobile friendly or risk the wrath of Google's new algorithm which will land in the pits of web search. Jennifer and Luis focus on topics and interviews related to all things media, technology, social, and marketing topics that help the everyday person better understand what's happening, what it means, and how it can help. In their fifth year of broadcasting the team looks to continue its run and thank all those that have been faithful to the show and welcome those that are just jumping on board. Come along for the ride!